There's nothing like the famous date night. You basically plan out your night out weeks in advanced; from food to ambiance, drinks to the perfect attire everything you chose was to create the perfect night out. For me I love hitting the streets of Detroit, walking hand in hand popping in and out of cocktail lounges, getting apps at each spot. Trying out Detroit's newest hot spots and hitting some of our repeat favorites is how we do date night but how you do yours is totally up to and I hope this below list helps. I love nothing more than going out on a chilly evening; cozying up in a dark bar that has been beautifully decorated to give off a renaissance Detroit vibe, sipping old fashions or a dark red and catching up on each others day. After that well stroll to a lively restaurant order way to much food, just because we want to try them all. Well become friends with the table next to us and tell them which dishes we loved and where they should go after for a late night drink. To end the night well take a quick stroll around Campus Martius to be surrounded by glimmering buildings. I've walked these streets so many times its hard to keep track, but its still magic every time. Its hard to find time these days to set aside a night or even a few hours to really connect with your partner over a good meal. So I'm hoping this list helps takes a little stress out of trying to find the right spot for your date. Grey Ghost has become a second home for my fiancé and I as we only live a few blocks away, but don't let that excuse fool you we were regulars from the start. This place is perfect for any celebration or just a low key burger and beer. It doesn't hurt that its the perfect location to grab food before heading over to the new Little Ceasars Arena. Recommendations | Hands downs I go here for the burgers, but I stay for the lively/romantic atmosphere, craft cocktails and for the people who work there. My recommendations right now are the short rib tikka masala, green- curry coconut ramen and burgers of course. Cocktail of choice is a new addition to the menu, "Man on the Moon". Like stepping into an upscale hunting lodge, Sugar House was one of the leaders when it came to the craft cocktail movement in Detroit. We love going here once a season as they do a great job updating their rotating menu with themed cocktails. 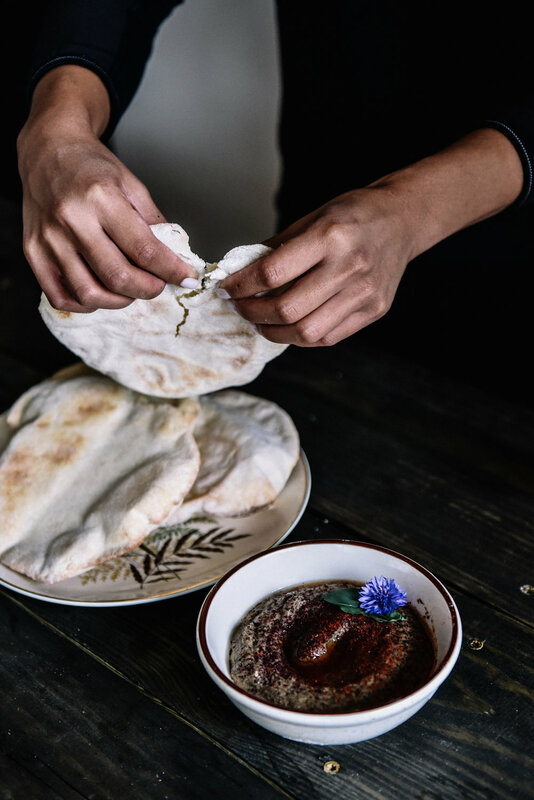 Recommendations | Although they do not offer a dinner service Sugar House has fantastic little bites to keep your hunger at bay. I love splitting charcuterie or their grilled cheese sandwich. The cocktail menu can be a little overwhelming so ask one of the bartenders for their recommendation, they are the experts. Since obtaining a new chef, Brendon Edwards, we cant stop going back to Gold Cash Gold. It has one of the most beautiful design aesthetic downtown I think with each room having a different feel but all flowing together perfectly with that gorgeous herringbone wood floor. Recommendations | There's always a couple dishes I obsess over and then cry over when they update the menu and take them off. Currently though I am loving the kale salad with house made greek yogurt, carrot + cauliflower ravioli and spicy chicken sandwich. You also cant go wrong with any of their cocktails, they are all fabulous. Marinas Fave; buttermilk fried scallops (not on menu currently) | Kevins Fave; orecchiette squash pasta (not on menu currently). I love this spot for a drink before or after dinner because its a full experience. From having to locate the spot, an atmosphere giving off this feel of mystery and intimateness, to cocktails that are a bit of a live show Bad Luck sets a standard that can be hard for any bar to reach. Recommendations | Get something you wouldn't usually get or ask the bartender to make you something special. Lets be honest its not everyday you are gong to drop $20+ on a single cocktail so you mine as well make it count. Known as the castle, the GAR building is home to Republic a modern upscale tavern where they know their way around a cut of meat. Eating here is an experience as they update their menu constantly to reflect local seasonal ingredients. Recommendations | outside of their seasonal menu Republic also offers a family tasting menu on Friday + Saturday evenings. They always do an unreal job on their veggie dishes, a favorite is the roasted carrots currently. To split order the whole trout or for a more meat heavy dish the jack pine elk tenderloin. Favorite cocktail is the "astro clock". Nestled below the Albert, you'll only see this spot if you are looking at your feet. Vertical is a upscale wine bar with knock out food and a large wine list featuring bottles from around the world. A little more on the expensive side you will not leave this place unimpressed. Not to mention near the bar the have old movies playing on a projector for you to enjoy while you clink glasses and share apps. Recommendations | Vertical had one of the best octopus dishes we've ever had and I am dying for them to bring it back. But while we wait I have no problem enjoying everything this small plate menu has to like the salmon, house made focaccia and scallops, make sure to finish with their crème brulee also. The perfect mix of intimate and lively, upscale and minimal Standby is a perfect spot to start the evening or finish with a night cap. We love this spot if were looking for a lively atmosphere and to be honest they have the best play list in all of Detroit. Located at the end of the well know Belt Alley, large medieval doors open to a scene straight out of an New York City lounge. Recommendations | Marina's Faves | Huarache lights cocktail and burger and fries, lots of fries. Kevin's Faves | Fish and Chips and a classic Old Fashioned. Cult Faves | Snake in the Grass and Fibonacci's curse. This historic Detroit space which is now home to the stunning Detroit Foundation Hotel is an ode to the past while mixing in modern touches. You'll quickly see why this hotel won the gold key award for excellence in hospitality. Lights shower down from high above the bar like twinkling stars setting the mood for a true date night out in a city. Recommendations | For just drinks Kevin and I both recommend the "Old Foundation" featuring Detroit distillery's rye or the "Winter White Cosmo" with chartreuse. Their burger and fries are on point along with an award winning menu of other dishes created by chef Tom Lents. If you want New York style pizza in Detroit then you got to Supinos, everyone knows this. Recently they added onto the carry out spot and we couldn't be more ecstatic. Large pies the size of your face while you split a bottle of wine is what this place is all about. Recommendations | We like to start with the Rucola salad and then get the largest pizza so we have leftovers to take home. I'm personally a classic margherita girl (i add red sauce) but try one of their specialties if your in the mood for living on the edge like the city wing thigh or Bismarck. 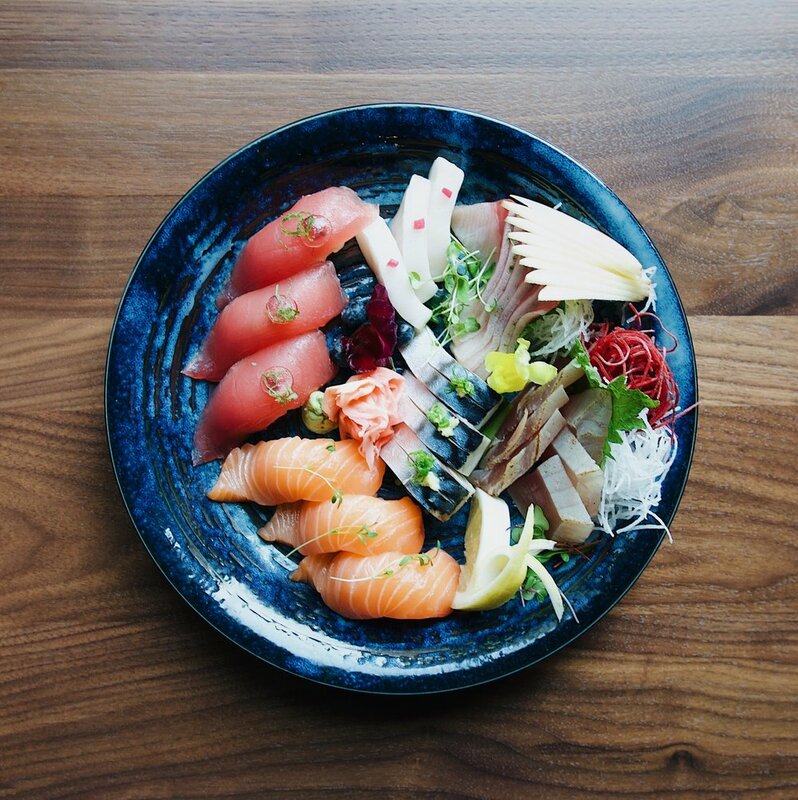 The ultimate sharing experience, Takoi is all about sharing and connecting over food, ambiance and drinks. We are definitely apart of the Takoi cult and have our go to favorites we always get but we also try to at least get 1 -2 new dishes each time were there. Recommendations | For date night grab 3-4 dishes to share and always ask Drew the bartender for a recommendation when it comes to a cocktail, he is a genius in creating cocktails that compliment each dish. Marinas Fave; charred broccoli and crispy spare ribs, for cocktail I'm obsessed with the bangers ball | Kevins Fave; pumpkin and khao soi and for his drink of choice he loves a classic miller high life. Are we in Manhattan or Detroit, Wright & Co. you could have fooled me! 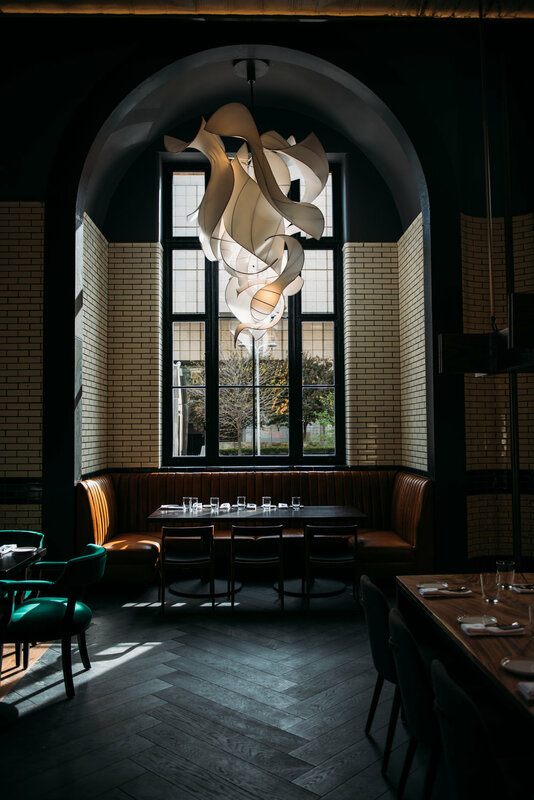 Located on the second story off of Woodward Wright & Co has gone above and beyond to make the ultimate date night spot for any design lover. A long marble bar to the left and a large vintage chandelier overlooking the streets of Detroit to the right you are immediately transferred to an upscale swanky Manhattan lounge. 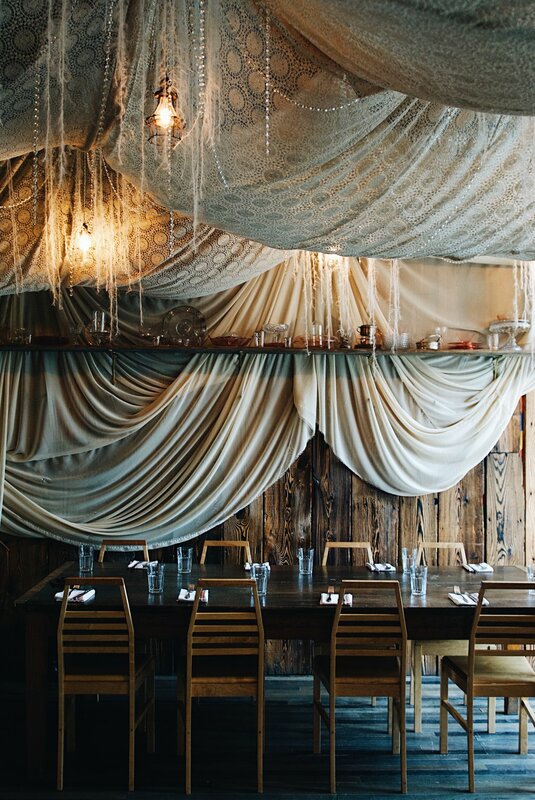 This spot oozes date night appeal. 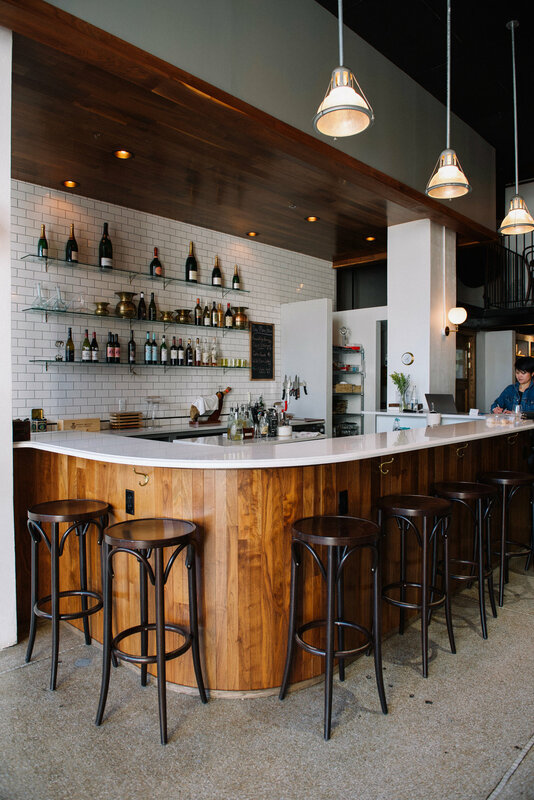 Recommendations | Another small plates location grab 3-4 to share with each other. I've always loved the maine crab cakes and burrata toast. I have never met a cocktail at Wright & Co. I didn't like, but for right now I'm a fan of the "Moon and Harbor". What can we say, its a favorite. If you are celebrating and want to be among friends then Gather is the spot for you. Communal seating allows you to meet and converse with people sitting next to you and before you know it you'll be wondering where your group ends and the other begins. With a rotating seasonal menu you'll be constantly trying something new every time you are in. Recommendations | If you're are burger fan head in weds nights for their burger deal, $5 burger with a food donation. Fan favorites also include the French dip and Brussels. Marinas Fave; Gnocchi and Yams. Big fan of the slushee of the month. Kevins Fave; Seafood Stew and Head Stock (beer). Located on the top floor of the historic Whitney Restaurant in midtown. Ghost Bar features walls that could speak years of history to anyone who enters, long banisters leading up staircases adorned with specks of light filtering through stained glass art. At the tip top of the Whitney you'll find Ghost Bar, a place where deals are made and the possibilities are endless. 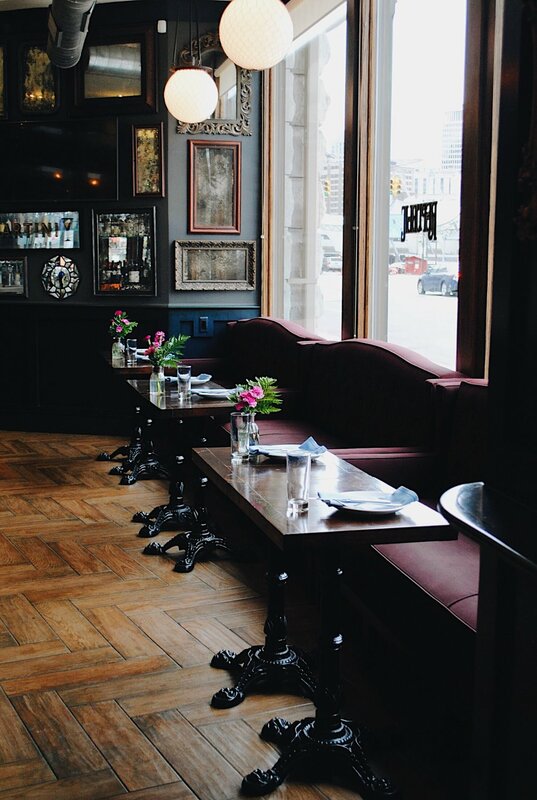 We love coming here on a chilly night, snuggle up in a side room on one of their Victorian style couches. Recommendations | Old Fashioneds, always. If you are feeling a little adventurous I recommend checking out their absinthe room and diving into the full experience taste testing each distillery they offer. Only place I'm comfortable going for Italian and the moment. Ottava Via is a favorite of ours whether we are having a romantic dinner or grabbing a quick lunch together. We frequent here a lot more in the summer as they have a great patio and bocce ball courts. Recommendations | CALAMARI, once we ordered 3 of these! Were also huge fans of the Melted pecorino cheese plate and the pizzas of course. Marinas Fave: Carbonara | Kevins Fave; One-half farmhouse chicken. When it comes to drinks we always split a bottle of red wine. After getting lost among Art at the DIA for hours stroll into a room that could be straight out a English garden dream. The perfect day date spot, find a cozy couch to share your favorite pieces in the museum over a cup of coffee. Bring a sketchpad or a good book with you to the court, we always stay for at least an hour to really enjoy the beauty that is the DIA. Check out their calendar to see what events may be going on or live music that could be playing. 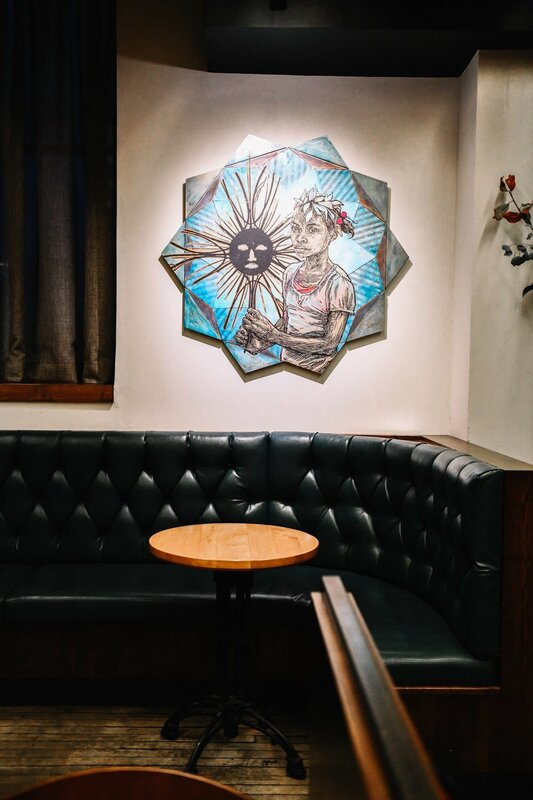 One of the catalyst of the "Detroit foodie movement" Selden Standard is the perfect restaurant for setting the mood for any style of date night. Whether you are looking for an intimate experience or a spot to kick off a night on the town you wont be disappointed here. Recommendations | Our favorite part of Selden Standard is their patio, I cant tell you how many hours we've spent out there having coffee while sketching, or sunset cocktails on summer nights. Ok, so lets get to the food. Selden is known for their farm fresh straight to the table heaven on a plate menu. Currently what were loving is the roasted carrots, squash cavatelli, scallops and the whole trout. Oh the Royce...if you follow my social channels then you already know the love affair I have with this downtown wine bar. The perfect spot for a pre dinner drink or a night cap. We love hanging out here for a weeknight date night as they have wine tastings on Wednesdays and we can walk over after work. Recommendations | Ask for recommendations, haha. 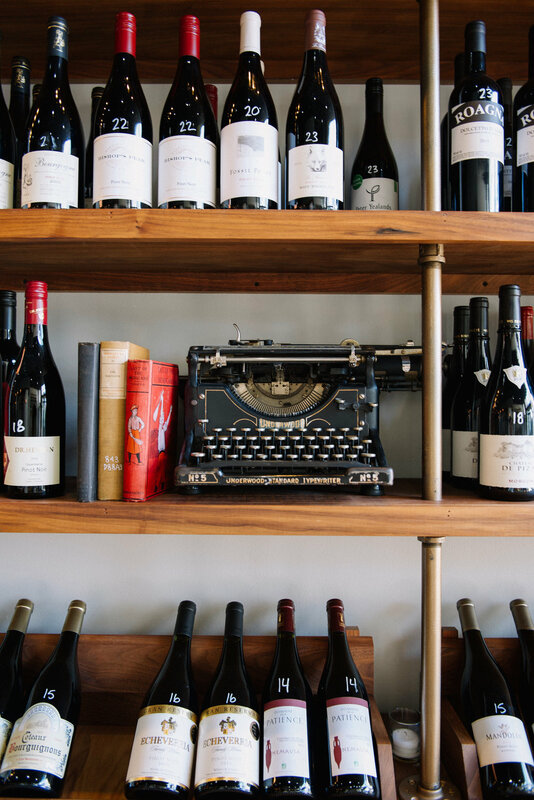 They're shelves are stocked with wines from around the world that will have even the pickiest wine drinker completely happy with the selection. They have a great pick and choose charcuterie mix where I always make sure to get castelvetrano olives and two types of cheeses. I'm moving, the design of this place is what French art deco dreams are made of. Ever since the first time kevin and I had dinner here together we were both enamored with the beauty of this place. The good food and cocktails were just an added bonus. Antietam is the ultimate intimate setting for quiet conversation and romantic flair. Recommendations | We love the beet tart, hand pulled mozzarella and of course the chicken. They have a great rotating cocktail list so I highly recommend getting or two. Kevin works in the same building that has Maru Sushi on the first floor so we'll frequent this spot often for their happy hour deals. There's not many sushi spots downtown so this was a welcome addition to the city. They also have lots of options for the non sushi lover! Recommendations | We usually start with the ruby cocktail ceviche, a couple rolls and then the Omakase (chefs platter). I usually will ask for a recommendation on sake or get a specialty martini. I have always struggled with my skin 365 days a year but especially during the colder months. I can never find the right combination of products that are going to leave my skin moisturized and glowing. In this post I really wanted to showcase some of my go to beauty products made right here in Detroit. 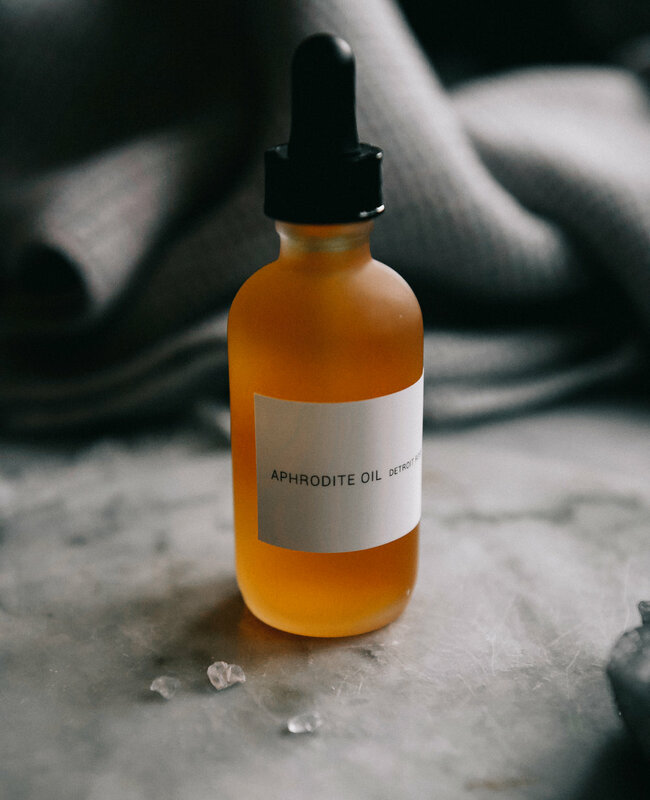 Aphrodite Face Oil | I use this face oil every morning and evening to lock in moisture. This blend of botanical oils is rich in vitamins A, C and E to improve skin’s plumpness, help fight the appearance of wrinkles, redness, and pores for a clear, glowing complexion. Pro Tip | For an extra boost of glow and moisture during the winter months mix Aphrodite oil with Alchemy Hennas Komenuka grains. Work into your skin, avoiding eye areas for a minute. Rinse off and follow with moisturizer. This scrub will leave your skin feeling softer than a babies bum. The exfoliation works off dead skin while allowing the oil to absorb deep below the skin. I recommend doing this 2 times a week allowing your skin to have breaks. Komenuka | is the word for rice bran, a super nutrient rich skin care food. Combined with rice bran flour and essential oils to boost the interaction between your skin and the interior organs that support luminous skin, our Komenuka Cleansing Grains are super versatile. Anointing Oil | put a few drops of this deep comforting scent on your palms and rub your hands together. Lift your palms and take a deep breath. You'll feel the scent warm every part of your body, a rush of relaxation and calm. Raw Coconut Oil | This coconut oil can be used as a face mask, body oil. massage oil, or added to a tub of warm water for a moisturizing experience. For best results, apply to freshly cleansed skin. Massage all over body, concentrating on dry areas like elbows, knees and feet. Reapply as needed. Rose Toner | Its a refreshing, hydrating mist formulated with fragrant herbs for an instant burst of refreshment and hydration. Just spray on dehydrated, tight and uncomfortable skin, day or night - works well over and under makeup, as well as on hair. Below I shared a couple other must have products that I always keep in my bathroom cabinet. Click the brands for a link to wear to buy. Dramatically Different Moisturizing Gel | Use twice daily. Lightweight and non greasy formula. Vapour Lux Organic Lip Conditioner | Blissfully restorative formula for healthy, luscious lips. Clinique Smart Custom-Repair Serum | use twice a day. improves four major signs of aging by 50% or more in 12 weeks: lines and wrinkles, lifting, uneven skin tone, dark spots. Peter Thomas Roth In Wrinkle Lip | Anti-aging lip treatment with an exclusive patent pending blend of eight powerful anti-aging peptides and neuropeptides at 24%. So you don't live under a rock and you've heard the news, Detroit is officially one of the top travel destinations in the world that you must visit. Maybe you're traveling for work or a mini vacation but here's my list of go to spots if you're in the 313 for 48 hours. K, lets do this. I'm going to assume you are coming in on a weekend. Plane lands, Car is parked, you get checked in, now what? 8:30 am | Breakfast. Start your morning out at Trinosophes off of Gratiot ave. Grab yourself some coffee and mango chia seed pudding or vegan breakfast sandwich, both favorites of mine. If you are just grabbing a coffee to go pop next door to the record store that has all the classics. 9:30 am | Cross over the bridge to get to Eastern Market, Walk around and see what Detroit growers have in season. DeVries is located right outside of shed 2, if you are lucky go up to the third floor as an award winning artist is known to hangout and have "band practice" with some friends. After walk the alleys and streets surrounding the sheds to see which new murals were installed for that years Murals in the Market campaign. 11:30 am | After strolling the alleys pop into Red Bull House of Art and see what their latest cycle of artists has created. Artists from all around come to Detroit to live and work in this space and eventually showcase their pieces in the gallery below. 1:00 pm | Lunch. Hailed for their southern Italy take on pizza, Suppinos Pizzeria is the known spot to go in Detroit. Their pies are large enough to feed 4 but any pizza can be a personal pizza if you really try. Their pizzas range from a classic margheritta to pizzas with novelty ingriedents like turkey or an egg are thrown on top. 2:30 pm | Rent a MoGo Bike for the next few hours and cruise the Dequindre Cut down to the Riverwalk. Head up Woodward Ave to Campus Martius to check out the beach and food trucks. 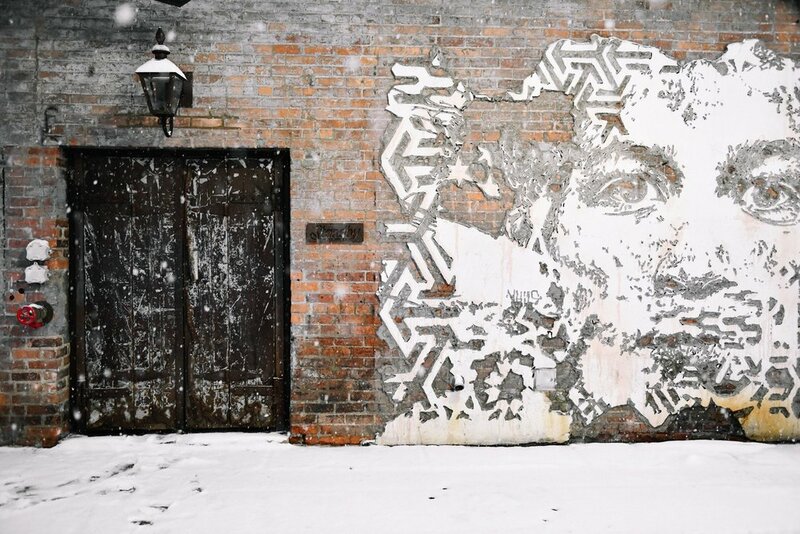 If you still have some time to kill head over to Detroit's well known art alleys The Belt. The public space is home to murals and installations by local, national and international artists. 5:00 pm | Happy Hour. Option 1; Wright and Co is located on the second story above John Varvatos over looking Woodward Ave. Sit at the marble bar and watch the mixologists create something special just for you. Option 2; The Skip located in The Belt is a more vibrant spot with garage doors that open to let fresh air in. Grab a frozen cucumber margherita or a tecate, they got it all. 7:30 | Dinner. 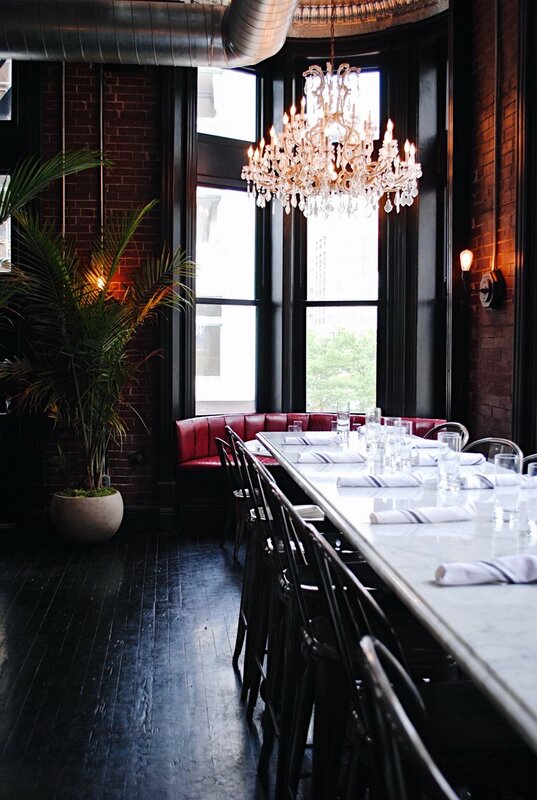 Option 1; Selden Standard offers a true farm to table experience. The space is open and minimal, the kitchen is bright and bustling, all while you watch the fire roar in the stove. Option 2; Gather has put together a thoughtful menu that focuses on the seasonality of its ingredients. A local laid back gathering spot where you grab a beer and share a meal. 9:30 | The Apparatus Room offers classic cocktails underneath a room adorned with historic architecture and modern touches. Its the perfect cap to a great day. 8:30 am | Scoot over to West Villages go to café spot Red Hook, after grabbing a fresh baked muffin and golden milk latte take a walk around the surrounding neighborhood to see the old historic homes. 9:30 | Breakfast. Roses Fine Foods menu offers a made from scratch recipes focusing on local seasonal ingredients. 2:00 | Lunch. Grab a sandwich to go from the Farmers Hand. Its a local market so feel free to grab some produce or even a trip treat made in the area. Option 2; Bronx Bar to get an unreal burger and a beer. Play some pool or sit on their "patio". 3:00 | Get lost for a couple hours in the DIA. These pillars are home to 66,000 pieces of history making it one of the top 6 museums in the country. Besides all of the art a big draw to the museum is Kresge Court, a comfy sundrenched courtyard. Grab a glass of wine and some snacks and rest your feet while you catch up on emails or those last few pages of your book. 5:00 | Happy Hour. The Royce wine bar. Perfect for an intimate get together or a large group the Royce offers a wine selection that would put any wine section to shame. They have hands down the best charcuterie in town and on wendisdays they host wine tastings open to the public. 7:30 | Dinner. After a fire destroyed the award winning restaurant Katoi, like a phoenix from the ashes it has risen again better than ever. Its not a visit to Detroit without visiting everyone's favorite spot Takoi . With a northern-Thai influence menu, "out of this world" atmosphere and specially curated cocktails you will quickly come to see why this is not just a local favorite. 9:00 | Option 1; Two James Spirits is a Corktown distillery that makes a mean craft cocktail. Option 2; Standby boasts a cocktail lab always updating their bar and food menu. Late Night | Cafe D'Mongos is one of the oldest speakeasy establishments in Detroit. Bad Luck Bar call and make a reservation, this can also be hard to find which adds to the speakeasy vibe. Cafes | New Order Café, Ashe Supply Co.